Sixty One: Harley Quinn, Feminist Icon? Episode Sixty One: Harley Quinn, Feminist Icon? We make our mother so so proud this episode. We are so civil and get along so well. We don’t raise our voices or disagree at all. Nope, none of that, like at all. 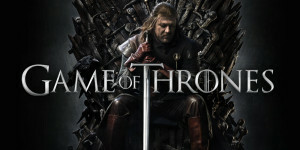 We report on George RR Martin’s new TV deal. We have high hopes. 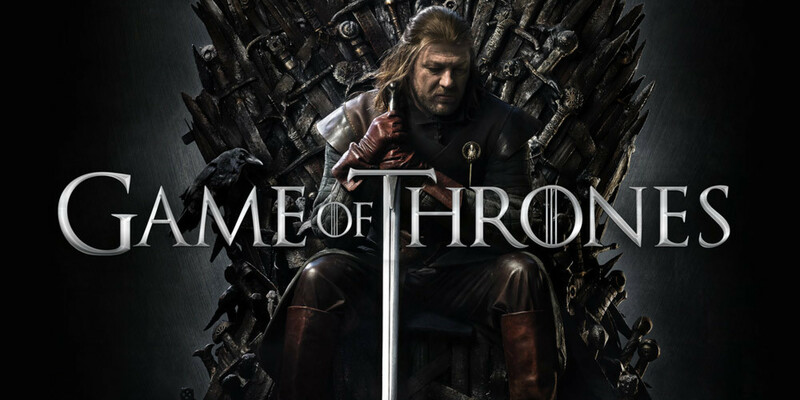 We lament, as always, that Game of Thrones will be coming to an end. We all saw Suicide Squad. We all feel certain ways about it. At this point, Chris is going to forcefully hold us down to make sure we watch Brain Dead. Andrew and Christopher are going to assemble a table read for Harry Potter and The Cursed Child. We all discuss the impending release of No Man’s Sky. Those of us who are PC gamers will likely be downloading it in the near future, if it’s remotely good. Trivia is Harry Potter themed. The Boys are smart enough to almost logic out the answer. 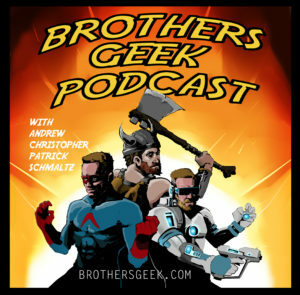 This entry was posted in Podcasts and tagged Brain Dead, Game of Thrones, Harry Potter and the Cursed Child, No Man's ky, Suicide Squad on August 10, 2016 by BrothersGeekadmin. Crunchytown population us this episode. But we soldier on! We spend almost 30 minutes on the “Game of Thrones” season 6 finale and it is totally worth it. If you want spoilers, listen, if you don’t, watch the episode and come back to us. Christopher sings the praises of an epic fantasy novel, Patrick finishes a mediocre thriller, and Andrew re-visits the Holy Grail. We all play board games together, some of them are more complicated than others. Trivia is “Star Trek” themed, thanks for the suggestion Smiley Aria of Dames Playing Games. This entry was posted in Podcasts and tagged Game of Thrones, Penny Dreadful, Star trek on June 29, 2016 by BrothersGeekadmin. Hey, it’s only been a month! Aren’t you proud of us?! Chris and Andrew get this episode off and running with an energetic and comprehensive review of Phoenix Comicon. Andrew does a Comicon Carry and makes new friends. Chris continues to indoctrinate his daughters into the geek way of life. We couldn’t have more love for Penny Dreadful if we were being bribed by the producers. Andrew scratches the “A Song of Ice and Fire” itch with a novella by GRRM. Chris and Andrew recommend Patrick get caught up with The Expanse. Patrick and Chris detail their love of Overwatch with enthusiastic detail; so much so Andrew can’t even make fun of them for it. The Trivia question goes down the rabbit hole of classic arcade gaming and the answers surprise us all. This entry was posted in Podcasts and tagged Game of Thrones, Overwatch, Penny Dreadful, Phoenix Comicon, The Expnase on June 8, 2016 by BrothersGeekadmin.